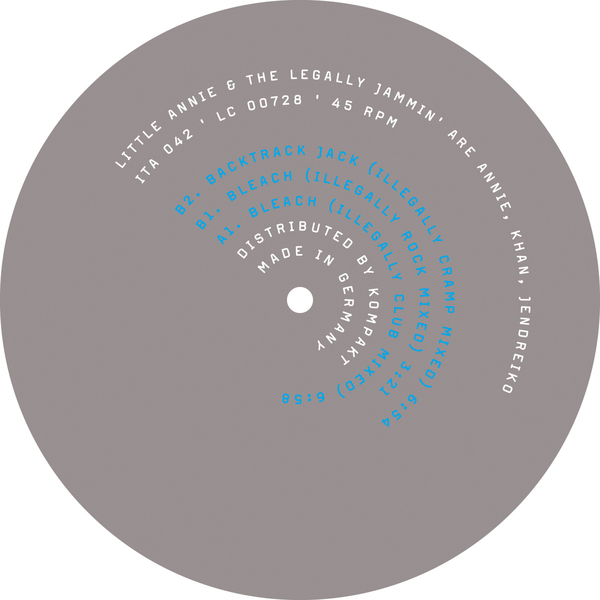 Little Annie & the legally jammin' is a collaboration between the ex-Crass member, ex On-u Sound artist Little Annie [anxiety], Kahn of the mighty Playhouse and the notorious Captain Comatose and Jendreiko of flesh records and hobbypopmuseum. Just listen to this 12" and you know about cool sexuality. the animal within the machine, or is it the machine within the animal? Legally jammin' rock gay clubs in new york, london and paris. Strictly limited edition of 500!